Enterprise support is our highest engagement level. A suite of services designed for the needs of large clients with elevated levels of complexity across multiple sites, developers, and agencies. Your enterprise support team acts as an extension of your business. They provide specialized expertise, direct and proactive assistance, project guidance, and continuity, even as your own team changes. Dedicated Account & Engineering team. Direct access to VIP consulting through Slack and a private “P2” site. Guaranteed response to all non-urgent requests within 4 hours. Weekly check-ins with your dedicated Enterprise team. Quarterly Service Reviews to recap our teams’ work together. Annual Client Onsite for shared planning, learning, and collaboration. Full Code Review for your custom and third-party plugin code. 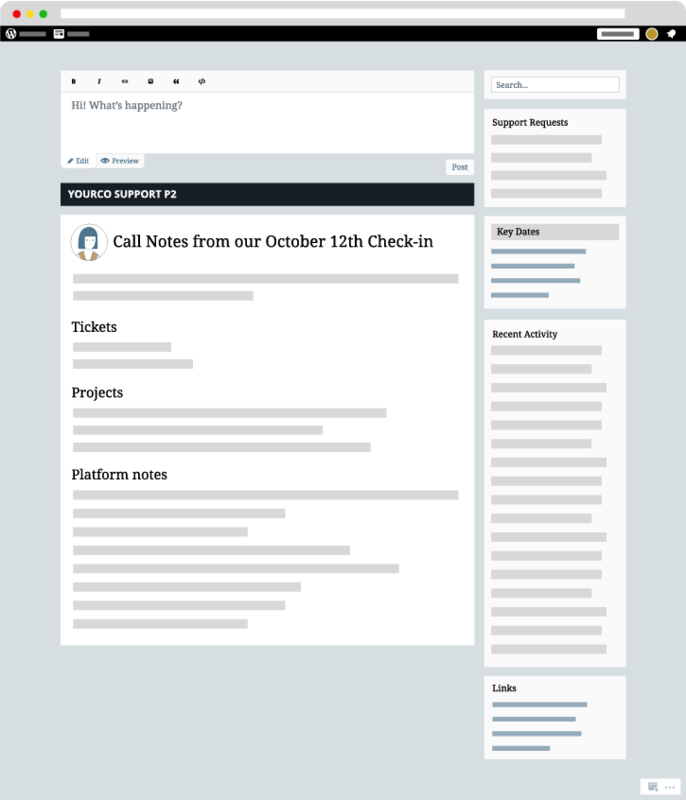 Support for custom integrations & consulting on your product roadmap. Discounts on VIP training & events. 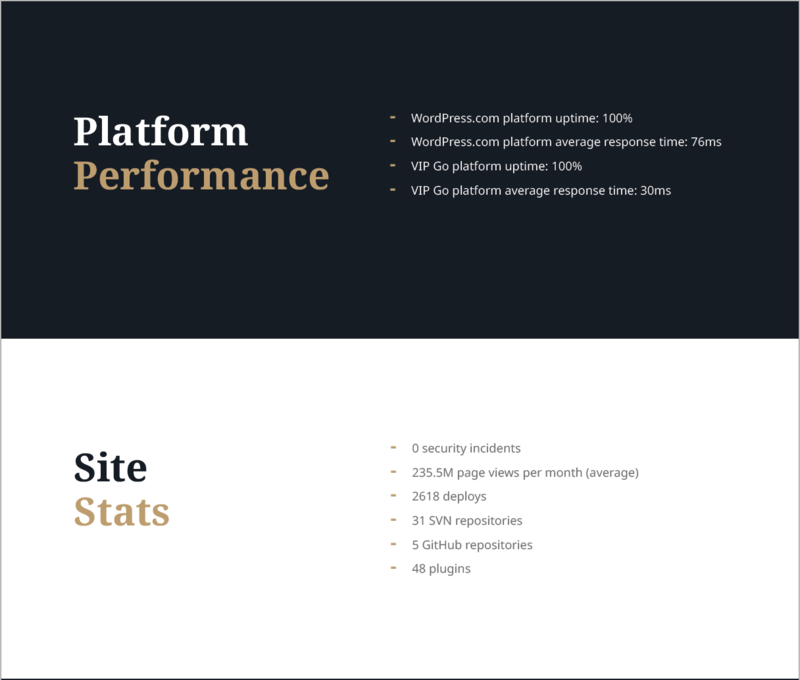 Each enterprise engagement has its own dedicated team comprising veteran WordPress practitioners who have built and supported business critical WordPress applications at scale. You’ll have an enterprise developer to advise on code, architecture and solutions and an enterprise technical account engineer (TAE) who is the primary communications contact. Your TAE supports and manages the program’s shared roadmap and serves as project manager across the engagement. Your TAE and lead developer are backed by a wider enterprise support team that also includes enterprise happiness engineers for broader support. The enterprise support team is further backed by the full VIP support team ensuring seamless 24/7 coverage. Your VIP team understands how you work, and their approach is tailored to your workflows and culture, your internal systems, and the sites you run. All of this is documented internally so that you get consistent and accurate interactions across the full VIP team every day. Automattic pioneered and perfected the art of working as a globally distributed team. VIP took the best of those practices along with lessons gleaned from collaboration on critical development projects across diverse, disparate organizations, to develop our approach to project communications. If we’re doing our job right, communication should be as effortless for you as breathing. We use a few simple, time-tested methods and tools and adapt them to the culture and practices of your organization. Your P2 is a shared collaboration and discussion space. 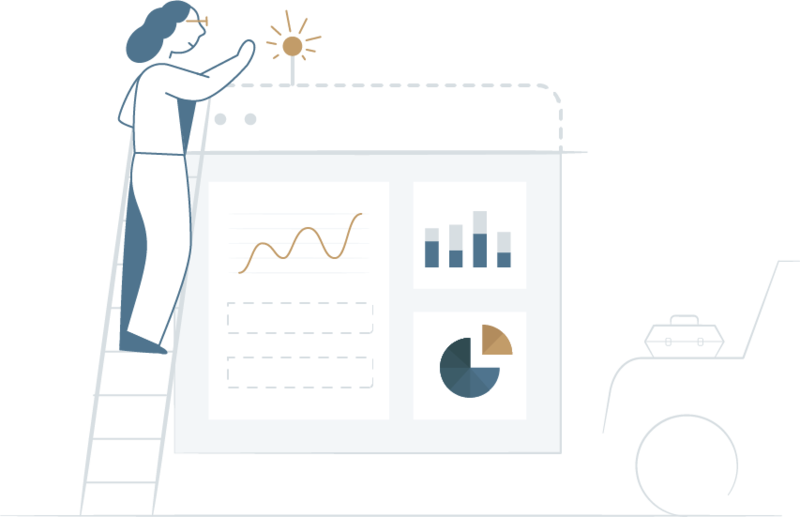 It's both a home for shared agendas and recaps and a way to discuss ideas and needs prior to creating actionable tasks in Zendesk. You’ll have your own dedicated P2 space, a place for ongoing discussions, assets, and points of interest. A dedicated Slack channel connects your team to not just the VIP folks you work with every day but all of VIP. Weekly check-ins keep things in sync and help keep our eyes and yours on what’s on the horizon. And our quarterly service reviews deliver a look back and ahead to keep you and your stakeholders in the loop on project progress and opportunities. We keep your stakeholders apprised of account progress with quarterly service and engagement review reports. Working with VIP is like adding a business analyst, architect, product manager, project manager, engineer, and QA team to your staff. One of the ways we augment your team’s capabilities is through our expert code quality guidance. Full code review, available only to enterprise projects, is an invaluable resource to guide performance, security, and quality. It’s there when you need it to provide feedback, recommendations, peace of mind, and so much more. Regular code checks increase the value of your code, increase your team’s depth of knowledge on any issues that arise, assure consistency, and keeps things operating at peak speed, performance, and security. When you’re launching a new site, your TAE will work with you from day one to make sure code review fits into your project plan and timeline at the appropriate times. And for ongoing work, thanks to our Pull Request review process on GitHub, you’ll be able to initiate code reviews whenever you’d like directly from the repository with one simple step – by making a pull request against the master. We’ll leave feedback inline with the code itself. You can then control when the approved code is deployed to production. Our code review team is staffed with a rotation of engineers starting from first thing in the morning in Europe all the way through the evening in US Pacific time. Our annual client onsites are one of our favorite ways to stay in sync with your team and bring our specialized expertise to you. Each year we bring a custom week-long curriculum of shared planning, learning, and collaboration to your offices. They’re also an opportunity to look back at our work together to date, explore topics as a team, make adjustments to shared workflow, and plan ahead for what’s next on the roadmap, together. Take a closer look at one of our recent sessions.